I really wish that customer loyalty meant at least a little or more to T-Mobile or any other company for that matter. While this post will be directed towards T-Mobile, I already know that 99.8% of other companies out there do not care about customer loyalty either, and most, if not all, should. I would honestly love to see some type of loyalty program exist to where maybe you could upgrade your phone, with a renewal contract, every year once you have been with them for an x amount of years that they would decide rather it be 4, 6, or even over 8 in my case. Could this program have other perks? Sure, why not, I mean you are showing a company that you are indeed loyal to them already, would it be that hard to offer you more than they would a newer customer? I know some people might say, they are just a company, what makes them feel they have to reward you for your loyalty? I am sure anyone could argue back and forth on this all day, but in the end all that should really matter to them is that you are giving them your money rather than you giving another carrier money instead of them. Every time I see a great new deal for T-Mobile, it is almost always just for new customers more than half the time, and the other half of the time for existing customers you can only get it if you are eligible for an upgrade. This is just wrong and should not be the case for long time customers. I do understand why in its current state but also 2 years is just a long time in today’s world. The phone I currently have is the Samsung Galaxy S Vibrant and I bought it Day-1 at the T-Mobile store on July 15th, 2010. I absolutely love this phone, the problem? No official updates, period. There also seems to be none coming out out the foreseeable either. Before this phone I bought the T-Mobile G1 about a month after its release and used it up until the Samsung Galaxy S Vibrant. But with that said on no official updates, you can still get the latest Android version (or almost latest sometimes) over at the XDA Developers forums because of the great community of developers working together to still bring us updates for all our Vibrant phones. There are some developers right now, one in particular by neobuddy, already providing a Android 4.0 rom (ICS Passion) to the Vibrant. It is still a work in progress and while I have not personally tested it yet, has had for the most part great feedback from the community. I am waiting for another release or two post 8.0 until I flash mine but at the moment, it seems like it is really stable to use now. I just wish there were plans to bring an official update to our Vibrant. Now why will they not provide an update? Simple answer, because T-Mobile considers it an ancient phone, so why provide an update when they longer support or sell it. They would rather you pay, likely more money too, to get the latest and greatest phone instead. They make money that way. I still want the Samsung Galaxy S II (S2) “Hercules” branded T-Mobile phone though, even when I do get Android 4.0 on my Vibrant because of the latest hardware inside of it such as the 8.0 MP camera, flash, front facing camera, screen size, and so forth inside of it. Do you feel as if T-Mobile should have some type of loyalty program? If so, why? What would you love to see them offer in such a program? Update 12/13/2011: Samsung has stated that we will not be getting Android 4.0 on any Galaxy S phone because of TouchWiz as well as the Galaxy Tab. Source: CNET and other many sites. I usually do not mind bloatware to begin with, and I almost never use them either anyways. But after a while, you just want a clean device after having a while to play with it. Especially a Samsung Vibrant for how great this phone is, not just the screen. I just wanted to take the time and explain to you how you can remove Layar and other “bloatware” applications that either T-Mobile, AT&T or others provide to you with your Galaxy S phone (Vibrant, Captivate, etc) if you want them gone for good. Now you will need root to do any of this. Rooting your phone is extremely easy and safe. There are many methods to root your phone, you can look over at the XDA forums for easy ways to do it for your device. 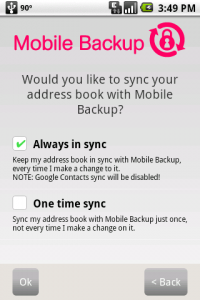 One quick method to root is by using the One Click Lag Fix app found in the Android Market. Do not let the name fool you, and you do not need to use the lag fix to get root either. You can unroot with this app or any other app, at anytime. 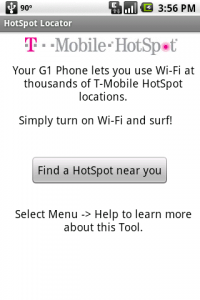 Though there is no reason to unless you are sending the device back to T-Mobile or your carrier. You can remove most bloatware with Titanium Backup which is free in the Market. You could also use Root Explorer however that is not free in the Market. So if you are in this same scenario and do not want to pay for Root Explorer than this easy method will work for you. You can also back up all of these apps with Titanium Backup in case you ever decide to want to use these again and want them back. When you are removing applications, make sure you know what exactly you are removing. I take no responsibility if you remove something you should not that could lend up to messing up your phone or bricking it. Then there you have it, you have successfully removed Layar. You can actually use this method to remove other apps as well if you are unable to uninstall them in Manage Applications in your phone or with apps such as Titanium Backup. If you are unsure of the application name, you can use this ‘ls’ command to find it. Sick of waiting for Android 1.5? Well you will be waiting just a little longer, just like myself. I am quite disappointed with T-Mobile USA right now. Everyone else has received their “Cupcake” update thus far except us (UK, Germany, etc). So according to the announcement, as long as if nothing more changes, we should start seeing the update slowly roll out the week of May 25th.